Once I started to think of religion as a human construction to fulfill human needs (community, belonging and meaning), it was very hard to go back. My remaining Christian self started to ask my new Agnostic (but not yet Atheist) self hypothetical questions. For instance: If religion was all just made up in the minds of humans, how does that explain the shared experience of the Holy Spirit or the overwhelming devotion of my ancestors to conscientious objection to military service? To answer self-questions like these, I relied on that tenuous frenemy of liberal religion: science (psychology, in this case). Having known many psych majors in university, I had heard unending retellings of fascinating lectures about the human mind’s ability to deceive itself (later I would learn much more about these concepts myself as I became interested in skepticism). It’s clear to me that the human mind has been shown to have many methods of self deception which are capable of explaining the human experience of religion (I’m skipping the details of my reasoning and quality citations for brevity). But there is a shortcut around a long conversation about how science can or cannot be used to explain religion, and that is: other religions. Even when I was a Christian I never was particularly “spiritual”. My religion was not based spiritualism or supernatural powers in general, it was always specifically about the Anabaptist Christian faith. And nothing was more challenging to my own faith than coming to terms with the existence of so many other devout followers of other Gods and other religions throughout history. Generally, I did not feel “mad at God” during the process of leaving religion. But one line of thinking got me pretty close at times; a small part of me has always really wanted the God of my childhood to be real. I wanted to live my whole life with that loving, forgiving, comforting God that would never leave me or forsake me. But religion left me. I felt (and I still feel) that I honestly, and wholeheartedly tried to believe in God. I thought about it long and hard for years, I talked to other religious people, I read the Bible and I went to Church long after most of my friends stopped going. I grew up and started asking adult questions about my childhood religion. And ultimately, that’s when my God left me. But of course, now that I understand there to be no God, there really is no reason to be mad because there is no God to be mad at. I was well along my journey away from religion when life happened and I moved to a different city. Since I could no longer attend the Church that I had attended since I was a child, I felt I needed to go “Church shopping”. In retrospect, I’m not sure why I was even trying, because at that point I had basically already come to my “how could I have known?” conclusion. I was being driven by the very last of the momentum of my Christian self identity. Eventually, I did find that next Church to attend. Although by that time I had also decided that I should probably try deliberately not attending Church for the first time in my life. Maybe this sounds as if I was just being stubborn and shielding myself from “how the spirit moves me”. But for me, choosing not to go to Church was an important step in being more honest about my identity. And that was basically the end of my faith story. During this three-part story about the end of my faith I have tried to focus on how and why I came to not being a Christian anymore. This garbled inner monologue that is my blog will continue with the stuff that is filling the spaces in my head previously occupied by my religion. Among other things, this will be a work in progress of my amateur, non-academic and non-religious moral reasoning. Again, thank you very much for coming along this far with me. I appreciate your comments, questions and suggestions for topics of this blog. Now I want to tell you the epilogue of my faith story. A while ago I had the misfortune of coming down with appendicitis. I remember distinctly that one nurse described it as “a real messy appy”. I spent several days in hospital and two weeks at home recovering from the surgery. It was disheartening, a little bit frightening and sometimes it was painful as hell. Thankfully, I had good medical care and good family and friends to help me through it. I was already done with religion at the time that I got appendicitis. It’s not even that I had left the door to religion open a crack. That door was solidly closed before I went into the hospital. But I guess when you’re on a gurney with tubes coming out of you and you’re in blinding pain, it makes you desperate. So I reopened that door to give prayer another chance. I’m not sure if I was trying to show myself that prayer was useless or if I was genuinely trying to find relief (remember, blinding pain). For whatever reason, I prayed for relief. I didn’t pray for forgiveness or for any of the people that I loved. I just prayed that my pain would go away. But I didn’t get very far into my prayer before I began to feel really silly for talking to myself. So I stopped mid sentence. And that was the last time I ever prayed. 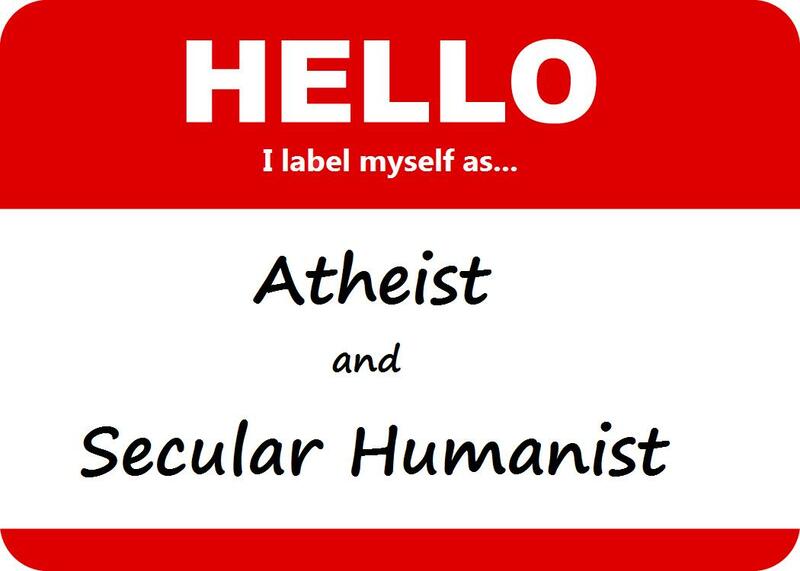 I’ve decided to start a blog to write about my transition from being a Christian to being a Secular Humanist and Atheist. Christianity has been a big part of my life for a long time, and in some ways it still is part of my life. I come from a very liberal brand of Christianity. The church that my family was a part of was not fundamentalist, hateful or sexist. In fact, it took pride in its liberalism and modernity. Our church had a tradition that before becoming baptized (as an adult) the baptizee would share their faith story. The idea was to speak about how you decided to make a mature commitment to Jesus Christ. It was a way of telling the congregation more about yourself and your faith perspective. It was also a way of publicly declaring your intentions to be a Christian. This blog is the opposite of that. This is the end of my faith story. And while I’m not sharing it in a church I still want to share it publicly, and with the people that are important to me. Hence this blog. In the next few blog posts I will share the story of how and why I left my faith. I’ll also talk about experiences of being non-religious, and discuss religion, secularism and ethics. I also have some thoughts on what this blog will not be. This blog will not be a tirade against fundamentalism or the religious right. There are two reasons for this: (1) If you want to read about the evils of evangelical conservatism in America then there are more than enough other people talking about these important issues. And: (2) That’s not my story. I live in Canada. My former church family is not conservative or evangelical. Discussing moderate religion makes for a discussion that is more interesting and more relevant to me and the people that I know. Since I was a Christian for many years, and participated actively in church life, I assume that many people that know me assume that I’m a Christian. There is no standard procedure for leaving a religion, but I think that it’s important for me to make some effort to communicate this to other people. Being misidentified as something that you’re not is an uncomfortable feeling, and more so when it’s by friends and family. Because I previously actively identified myself as Christian, it’s completely understandable that others still see me that way. So for now I’ll try writing this blog and bringing it to the attention of some people that I know well. I have already told some people in person that I’ve left Christianity. I would summarize people’s responses as: sad, confused, supportive and indifferent. I care about what other people think of my story and I always like talking about ethics, secularism and religion in society. I invite you to respond to the content of this blog by leaving a comment here, sending me an email or in any other way that you like. And for those who are indifferent (if any of you are still reading this), I recommend checking out XKCD or Sporcle as alternative internet pastimes.